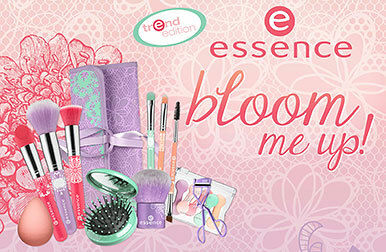 Preview: Essence Bloom me up! - Cherry Colors - Cosmetics Heaven! 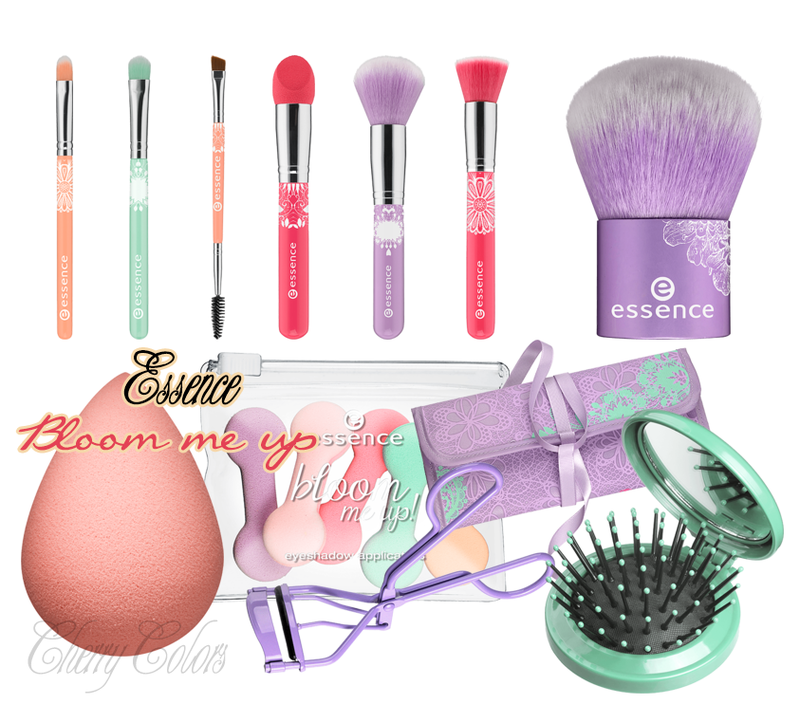 Preview: Essence Bloom me up! At first I read the new collection's name as "blow me up", haha. 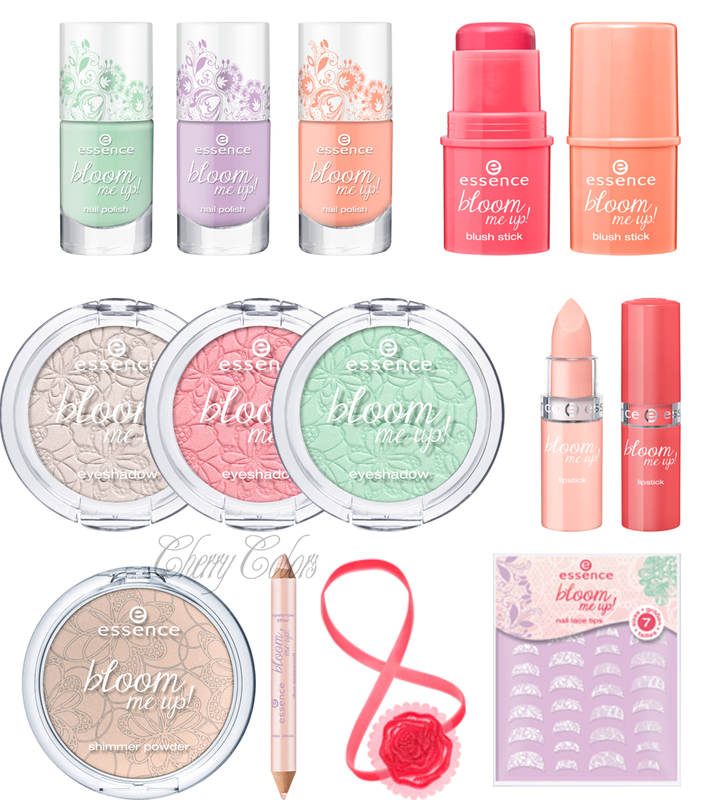 What can I say, I have a dirty mind :D.
Anyway when the Spring will be in the air, there will come out a new lovely collection by Essence. It will be full of pastels and flowers. Damn those pretty brushes! If I did the math right, you'll pay about 17€ for the full set of brushes (with the little pouch). So CUTE. Delicate lace with floral patterns combined with fresh colors consisting of pink, apricot and lavender. spring is going to be playful and romantic – and at the same time, it’s self-confident and totally cool. with these fashionable beauty-pieces, your eyes, lips, face and nails are sure to turn into absolute eye-catchers. the must-haves of the trend edition are the duo eye pencil, which makes your eyes look larger, and the practical blush stick – but the cute flowery lace hairband also shouldn’t be missing from your collection of accessories. on top, this trend edition offers practical brushes for professional make-up application and a stylish brush bag to store all your beauty tools. Comes out in March 2014. The promo image is really lovely :)! I did a small collage of all the products, but in bigger version so you can see what will be coming in the stores. Have you laid your eyes on anything you fancy? I certinly have - the eyebrow brush and the blush brush.